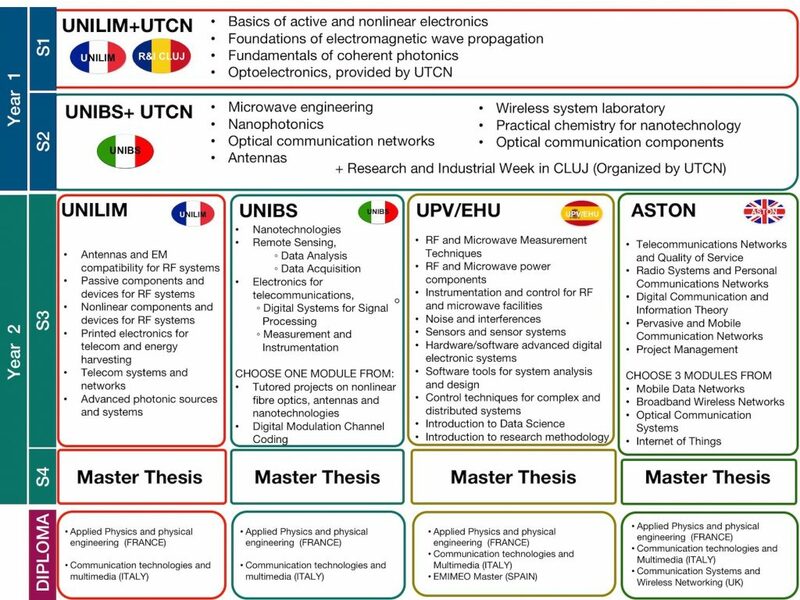 The Master study programme is divided into four semesters of 30 ECTS each. The EMIMEO Consortium releases multiple degrees and recognises any teaching module attended in other institutions of the Consortium. Students will receive the diploma from each institution in which they will have spent at least 1 semester of study. Students will temporary move at beginning of S2 to CLUJ for the Research and Industrial week organized by UCTN. Resit in January and June. Resit in April, June and September. Resit in August for both terms (one session).